How unique can an event be? How unique can a cultural festival be? We know of music festivals, literary festivals, and now even grub festivals! All this left us with very little to be creative about. And just when we kind of gave up, voila! along came Festivelle. What’s so unique about Festivelle? Festivelle is the first of its kind women’s only festival curated by actors/ entrepreneurs Shruti Seth & Gul Panag. It was a 2 day cultural fest of women, for women, by women. Festivelle envisioned a world in which women were allowed to take a break from their daily routine and cool their heels while enjoying new experiences, both enriching and entertaining; female centric and eccentric. The event was a culture-led weekender- a two day dress down for women. This was organized to celebrate abandonment of the daily and espousal of relaxation, revelry and quite boldly, happiness with girlfriends. 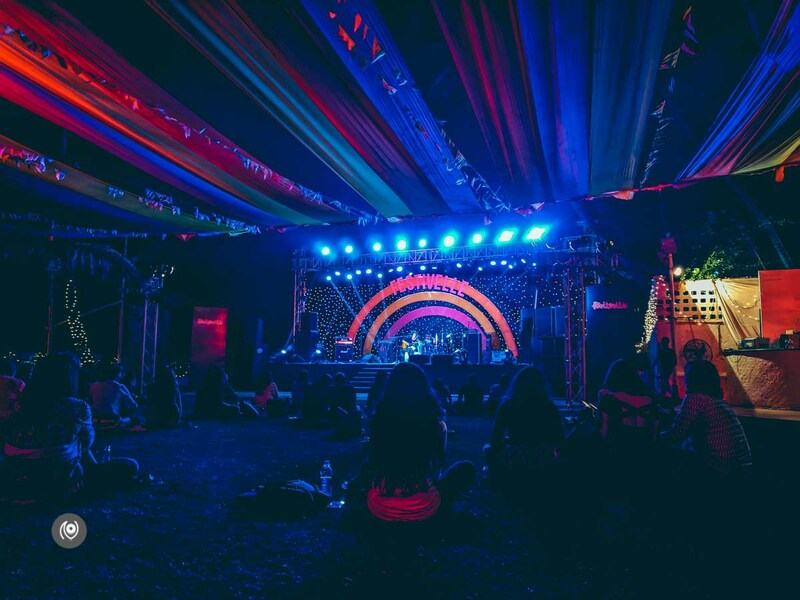 The never-ending retail therapy, eclectic music & comedy performances by the most renowned women in India, relaxing spa treatments, enlightening conversations, exciting workshops and much more. The two-day showcase included some of the kickass women performers like Alisha Pais, Manasi Scott, Neeti Palta, Anu Menon, among others. “Every woman of every age and in every sphere of her life is now ‘labelled’. A daughter, wife, professional, mother, divorcee – she always has to be someone, prove something or be somewhere important. What if we told you that it’s time to stop? That it’s now time to forget all definitions, chores, whatsapp groups, kids, husbands – even the chatter with our own self-critical selves; to simply pause and escape the everyday,” said Gul Panag, Organiser and Co-curator, Festivelle. Festivelle was one extravaganza with music, comedy, fun conversations, food, shopping and much more! The decor was designed and executed by Invision Entertainment, keeping in mind the vibrancy and effervescence of women. “Festivelle was about to simply experience something extraordinary. Something that doesn’t judge or care for judgement. A platform to elevate with no glass ceilings to shatter; just come stand under the open sky with your girls and celebrate being a woman with Festivelle!” opines Shruti Seth,Organiser and Co-curator, Festivelle. 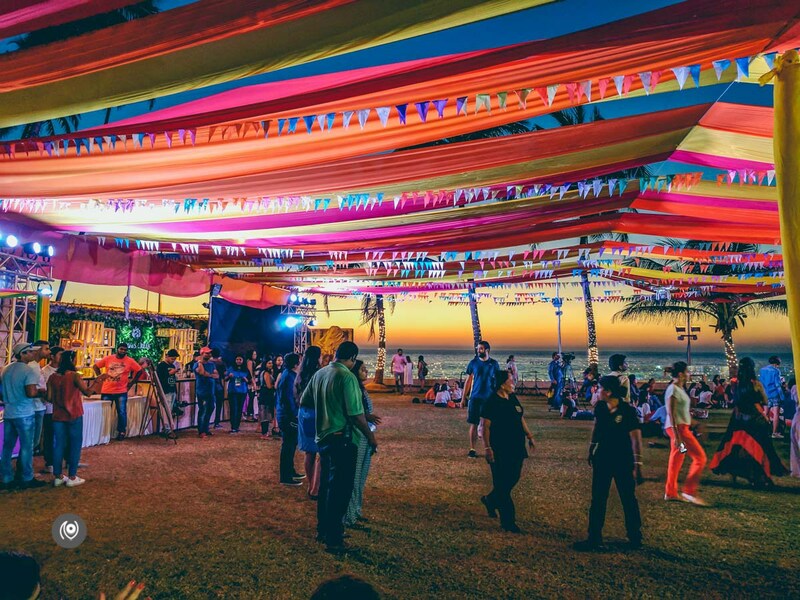 The lawns of Juhu Hotel were a perfect setting for the festival. Draped in colorful fabrics, buntings, flags and ribbons the place looked its best at sunset. Fairy lights and lanterns made the flee market not just a happy place to shop but also a visual delight! The entire setup was magical with the aim to educate, entertain and engage the women of today. The Festivelle was a great hit! The workshops curated by renowned author Kiran Manral, were educating and enlightening at the same time. The musical, the stand-up comedy, the reading events were marvelously executed, to say the least. Visitors and and performers were given goody bags and hampers from brands like Pipa Bella, Style Cracker, AND, Fab India, Bono, Sublime Factory, and The Label Life. I sure hope that there are seasons of Festivelle. After all, sometimes girls just wanna have fun!